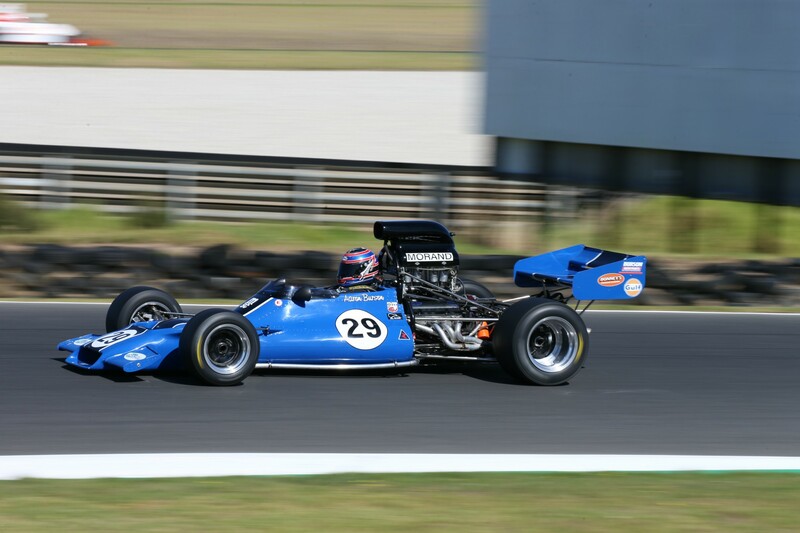 Australian pair Tom Tweedie and Tim Berryman claimed the early advantage in the SAS Autoparts MSC NZ F5000 Tasman Cup Revival Series races at the annual VHRR Philip Island Classic ‘Festival of Motor Sport meeting presented by Burson Auto Parts’ in Australia yesterday and today. So far this weekend Tweedie (Chevron B24/28), has been quickest, the Sydneysider claiming pole position in Saturday morning’s category qualifying session with a time – 1.26.9251 – a good second-and-a-half quicker than compatriot Berryman (Lola T332, 1.28.6314) then winning the first race of the weekend later that day and the second and the third (of five planned for the weekend) today. Berryman, from rural New South Wales, had issues with his car’s throttle on Friday, but after qualifying second quickest and finishing a distant second to Tweedie in the first – 4 lap – race on Friday afternoon, was much more competitive once the throttle was working to his satisfaction today. On his way to a close second place – just over a second behind Tweedie at the flag after five laps – in the second race of the weekend this morning he set the quickest race lap in the morning race. He also finished a safe second in the third race this afternoon, this time crossing the line just over three seconds behind the Chevron of Tweedie, but again well ahead of the first of the Kiwi visitors, in this case, two-time former series champion Ian Clements (Lola T332) from Christchurch. With four-time series champion Ken Smith (Lola T332) a late scratching thanks to engine parts not arriving in time from the United States, and impressive SAS Autoparts MSC series young gun Michael Collins (McRae GM1) attending his sister’s wedding this weekend, the onus of taking the battle to the top Australians at the Phillip Island Classic initially fell to one of the other former series’ title holders, Andy Higgins (Lola T332). However after heading the nine-strong Kiwi ‘landing party’ in qualifying the Aucklander spun out of third place in the Friday race (though he managed to recover and finish that race in seventh position) then suffered a broken cam follower on his way to finishing third in the morning race today, putting him out for the third race and the final pair of races tomorrow. large crowd at the meeting lining the spectator fences as battles ebb-and-flow through the mid-field. On Friday it was Aaron Burson and Ian Clements who stepped in when Andy Higgins spun, the pair crossing the finish line in third and fourth places respectively, Burson bridging the gap between Berryman and Clements and the best of the rest of the 11-strong ‘local side,’ Victorian David Hardman. 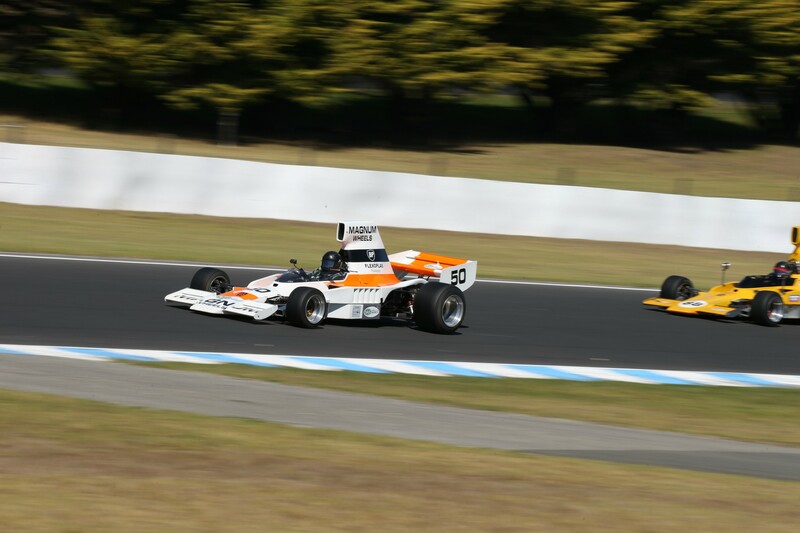 Hardman was driving the first of the Class A (for older F5000 models) cars home, the McLaren M10B owned by Australian motor industry identity (and former F5000 racer) Alan Hamilton and originally made available for local racing legend Alfredo (Alfie) Costanzo to drive this weekend. With Costanzo unavailable Hardman stepped in at the last minute and ended up impressing everyone, qualifying sixth quickest and finishing sixth in the first race and seventh in both the second and the third. Kiwi Class A counterpart Dave Arrowsmith (Lotus 70) looked set to keep Hardman honest after qualifying his unique Ford-powered Lotus 70 in eighth place. However he was slowed in Saturday’s race by a gear selection problem then (with that issue fixed) was forced out of the second weekend race this morning with an electrical fault. He finally had a clean run in the third race, though had to start from the back row of the grid but managed to get back to 10th place before the chequered flag came out. Aucklander Frank Karl (McLaren M10B) has also had an up and down weekend so far in his Class A car, though with an early overheating issue fixed by a borrowed water pump he was able to start and finish both races today. Defending series title holder Brett Willis (Lola T330) has not had the best of starts to his Phillip Island weekend, struggling with a gearbox issue. In stark contrast, however, David Banks and series newcomer Tony Galbraith (both Lola T332) have enjoyed a so far trouble-free run, The pair have rarely been more than a second or two apart in the races with Galbraith getting to the finish line first in the first and third race but Banks returning the favour in the second. Aaron Burson (McRae GM1) was typically quick in qualifying (fourth) and finished third in the first race and fourth in the third. In the second one though he outbraked himself heading down Lukey Heights and into the MG hairpin (after changing brake pads) and after running off the track and letting most of the field by, ending up back in 10th place at the flag. 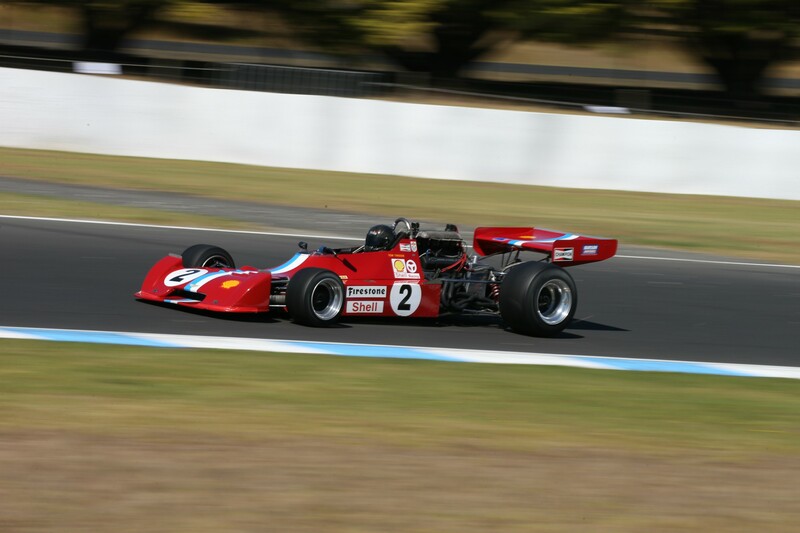 The F5000 cars will be back on track at Phillip Island tomorrow (Sunday) with a fourth five lap race in the morning followed by a 50km category feature race on Sunday afternoon. The 2017/18 SAS Autoparts MSC NZ F5000 Tasman Cup Revival Series is organised and run with the support of sponsors SAS Autoparts, MSC, NZ Express Transport, Bonney’s Specialised Bulk Transport, Mobil Lubricants, Pacifica, Avon Tyres, Webdesign and Exide Batteries.